Many happy & satisfied customers. It’ll only take you a few min. Travelled 2.5 hours from Philly to buy a BMW m3. No regrets in the purchase. Car is in amazing condition and i got a good deal on the car. This isn't one of those sketchy dealerships. They're legit. Would buy another car here. I purchased a 2013 Mustang from here a couple weeks ago that I saw online and the process went smoothly. I saw the vehicle online and drove ~45 miles to see the vehicle. Even though I arrived less than 30 minutes before closing, sales associate Donnell, who I had conversed with over the phone to check if the vehicle was still for sale, got me to the vehicle right away and was willing to address any questions I had. Ultimately I decided to purchase the vehicle, and he made the process and paperwork go smoothly. Sediqha, the finance manager, was also exceptionally pleasant to work with and helped walk me through the financing process. I would purchase another vehicle from here if I needed one. I had a great experience! The sales lady Rebecca was amazing. She helped me find the car that I wanted and I left with the car in the same day! The staff overall are just great and their goal is to get you the car that you want. When ever I need to purchase another car I will be coming back. This dealership went ABOVE AND BEYOND! Not only is the staff punctual. They are honest respectful, accommodating, and have great communication. This IS my 1at choice for used vehicles. Finance lady took great care of the deal extremely fast to. Manager was very informative and understanding. Sales man was BEYOND helpful! Even met the owner as I picked up the keys! Can’t give them any thing else but 5 stars! Definitely recommending them to any one shopping for a new big purchase! Thank you SMH auto sales! So yesterday I went to smh auto desperately in need of a car and when I walked in was kindly greeted by a man named donnell Dawkins. I told him my price range, my monthly payment range and the make and model of a few cars I had in mind within 20 minutes I was approved and he found me the perfect vehicle. What makes the experience great was I walked in there 30 minutes before they were suppose to close. Anywhere you go if you walk into a place before closing it usually irritates workers knowing that you’ve just extended their day but the people from smh were the Total opposite. Thanks mr Dawkins. I’d also like to thank their beautiful/gorgeous finance manager sediqha hashim who took care of all my paperwork and talked me through the whole process. Beautiful lady and a good gentleman sold me a great car at a great price thank you smh auto. If I was able to give this place 10 stars I would. 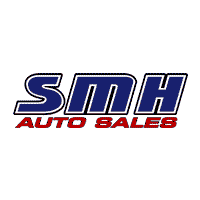 If you need a nice vehicle for a reasonable price head down to smh auto and speak to donnell and sediqha you won’t be disappointed !! Thanks For Stopping By SMH AUTO SALES! SMH Auto is based on the belief that we are here to serve our customers needs for quality, reliable vehicles at a fair price. We also believe that buying a vehicle should be a fun and easy experience. Our entire team is committed to meeting those goals. As a result, a high percentage of our business is from repeat customers and referrals. We would welcome the opportunity to earn your trust and deliver you the best service in the industry. Click on the image or name to see a full vehicle history report and all the details of the car.